Offering hands-on learning experiences for University of Illinois at Chicago undergraduate students that advance the overall mission of greater social, economic and environmental sustainability in the campus community. This unique program provides an intellectual framework for students to apply classroom learning to project-based engagement. 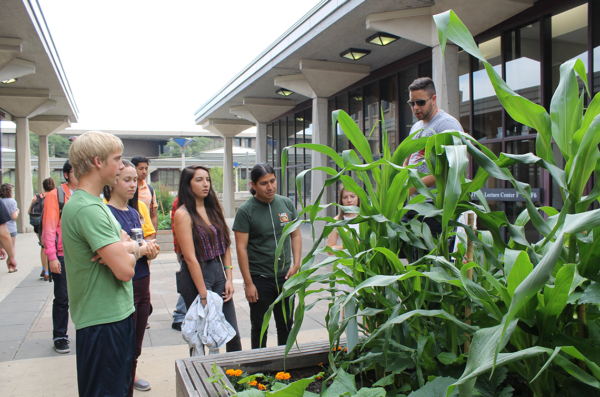 Since Summer 2014 we have connected over 100 UIC students to sustainability projects all over our campus. Open to UIC undergraduate students only, students from fields of engineering, architecture, urban studies, public health, nursing, and liberal arts and sciences, have completed the program. Students have been placed in internships across the campus, in units such as Campus Housing, Dining Services, the Children’s Center, Office of Capital Programs, Campus Utilities, Facilities Management, Civil Engineering, the Center for Literacy, the Energy Initiative, Gallery 400, and School of Dentistry, as well as outside partners such as The Field Museum and the One Earth Film Festival. Projects vary from waste reduction initiatives and community outreach, to energy and water conservation, and much more. The Sustainability Internship Program (SIP) consists of an internship placement* at a UIC department or affiliated organization, weekly seminars and field outings that cover a range of educational and skill building topics, and leadership development and project management experience. *Only for current UIC undergraduates. Seminar topics include environmental and energy sustainability issues, cultural sustainability issues, institutional challenges and change management, campus structure and administration, campus sustainability programs and job readiness. What is expected of the interns? The spring internship is a for-credit class held during the semester (US/PUBH390); in addition to a weekly 1.5 hour seminar, students are required to commit approximately eight (8) hour a week to their assigned internship. The 10-week summer internship is a paid internship; in addition to a weekly two (2) hour seminar, students are expected to commit approximately 15-35 hours a week to their internship project. The 2019 Sustainability Internship Program (SIP) will run May 27 – August 2. 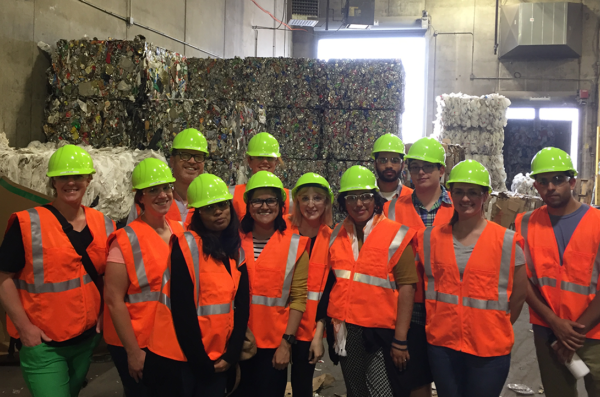 SIP students visit off campus sustainable businesses such as Lake Shore Recycling Plant, where UIC sends its trash. 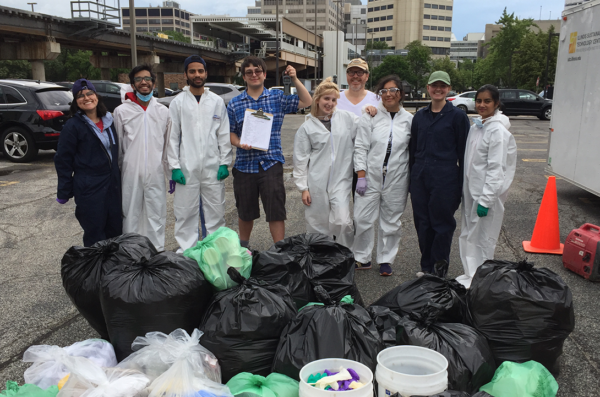 SIP students help UIC staff gather data through university waste audits. Faculty & Staff: Interested in Mentoring a Student?